Jordan on Monday reopened its main border crossing with war-torn Syria, a key Middle East trade route, after a three year closure, an AFP photographer reported. The black metal border gate was opened from the Jordanian side of the crossing at 8:00 am (0500 GMT) as more than a dozen police and customs officials stood nearby, the photographer said. Several cars bearing Jordanian license plates queued to enter Syria, the photographer added, as travellers expressed their joy at being able to cross the border. "Today is a celebration for us and I wanted to be among the first to cross the border," said Syrian businessman Mohammed Hisham as he waited for his turn to enter Syria from Jordan where he now lives. Jordanian taxi driver Imad Sariheen called the reopening of Jaber a source of "great happiness for all of us" which will help ease "economic hardships" caused by the closure of the crossing. "Our conditions have worsened over the past years. Our work (driving taxis) was halted because of the closure of the border between Jordan and Syria," he added. The border crossing, known as Jaber on the Jordanian side and Nassib on the Syrian side, was a key trade route before Amman closed it after the post was overrun by rebels in April 2015. The crossing was a major link not only for direct trade between the neighbouring countries but also for longer-distance transit, which was a significant source of revenue. The reopening comes after Syrian government troops retook their side of the crossing in July under a deal with rebel fighters brokered by Moscow. After seven years of civil war, Syria's government has recaptured large swathes of territory from rebels with backing from Russia, but it still only controls around half the 19 crossing points with neighbours Lebanon, Jordan, Iraq and Turkey. 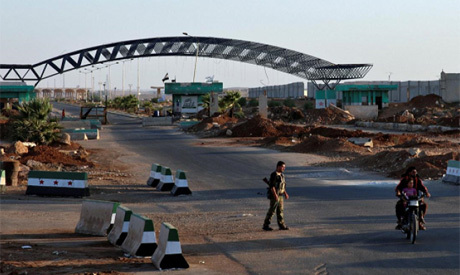 Jordanian government spokeswoman Jumana Ghneimat announced the intended reopening of the Jaber crossing on Sunday. She said in a statement that the decision was taken after "Jordanian and Syrian technical teams agreed on the final measures needed to reopen the border during a meeting held at the Jaber crossing". Syria's Interior Minister Mohammed al-Shaar also confirmed on Sunday the decision to reopen Jaber. According to an agreement between Jordan and Syria seen by AFP, the traffic of passenger and goods at the border crossing will resume daily from 0500 GMT to 1300 GMT. Syria also requested that Jordan send an expert to help with border checks at Nassib where there are no X-ray machines, according to the terms of the agreement. The accord stipulated that travellers entering Jordan from Syria "must obtain prior to their trip a security permit" from Jordanian authorities. And those who plan to use Jordan as a transit stop en route to a third country must show proof of their residency permit in Syria as well as an entry visa to the country they plan to visit.